Known as the Industrial City due to the export of iron extracted from the Biscayan quarries, Bilbao has served as the economic center of the Basque country. Located in northern Spain just a 90 minute drive outside of San Sebastián, Bilbao has recently seen a spike in tourism. Locals refer to as the "Guggenheim effect", which is a response to the opening of the Guggenheim Museum in Bilbao. This world-class museum has brought in waves of tourists, who tended to previously pass by this working-class city. The Basque are a proud people who can trace their origins in this region back to 2200 B.C. They speak their own language, celebrate their own traditions, and practice unique culinary traditions. In many ways, visiting the Basque country feels like traveling outside of Spain. One only needs to spend a day in Bilbao to learn that the Basque people take particular pride in their unique culinary traditions. While tourism has indisputably had a positive effect on the local economy, this has also made way for the introduction of "flat bars", which lack character. 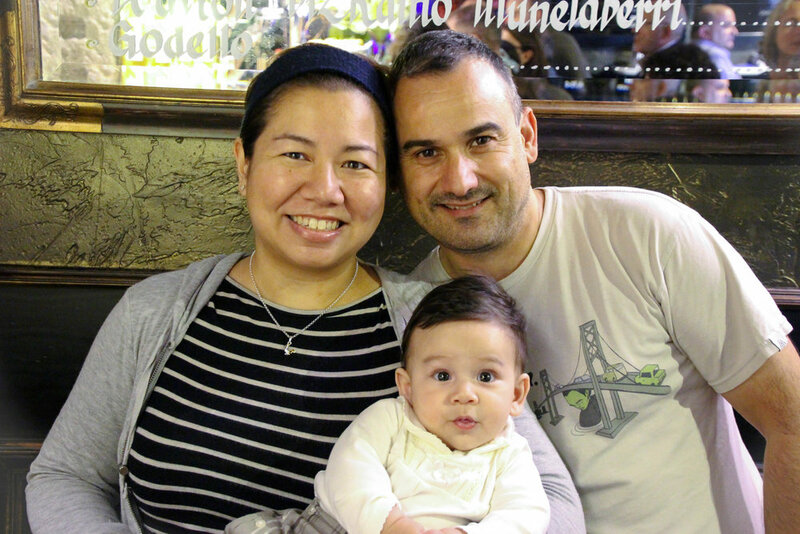 To avoid the touristy spots and instead eat pinxtos like a local, I met up with two local guides for the afternoon: Javier and Margaret (as well as baby Noah) of Travel Basque Country. This gregarious duo runs custom tours around Spain. If you are in Bilbao, these are the people you want to share pintxos and a pote (drink) with. 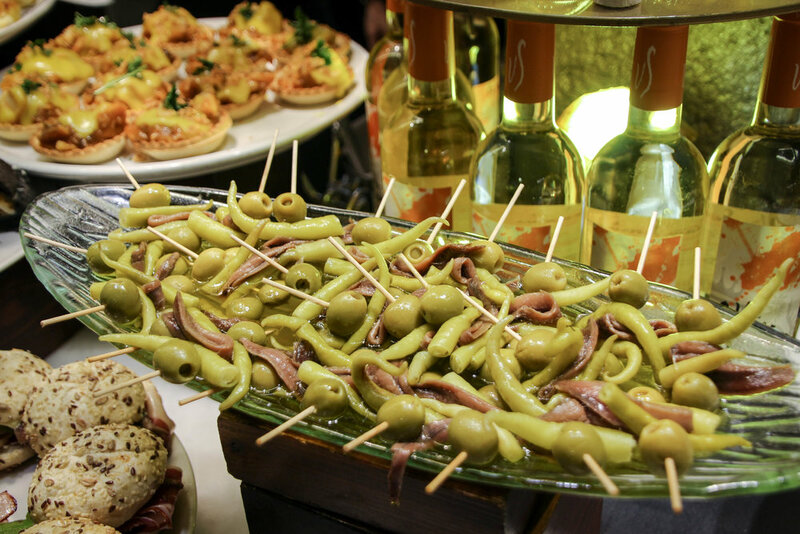 To preemptively answer your next question: No, pintxos are not the same as tapas. 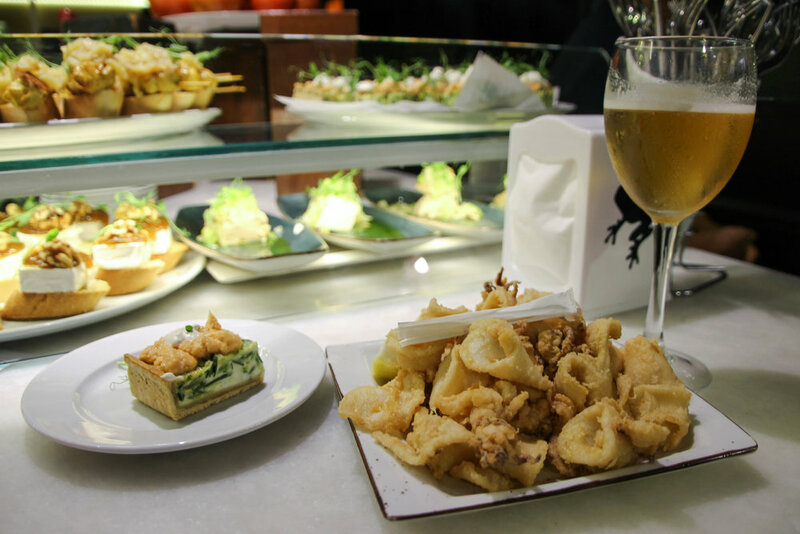 Pinxtos are individually-sized Basque bites, while tapas are small plates of Spanish food intended for sharing. 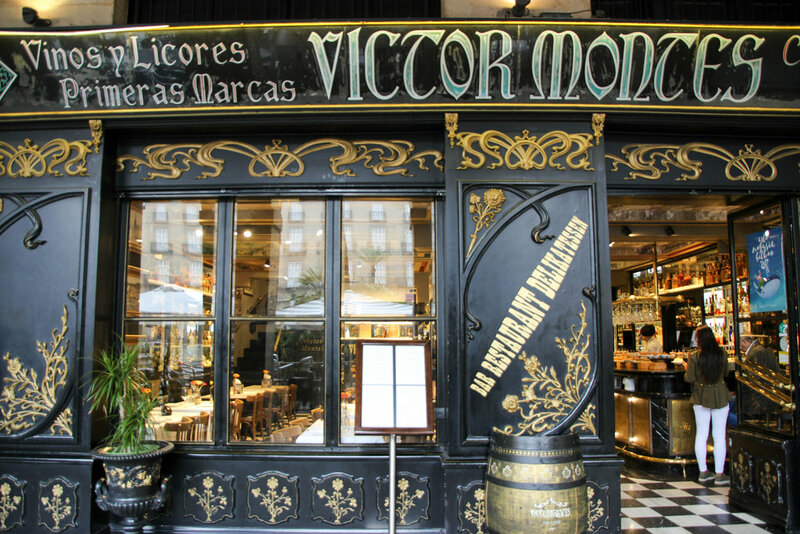 Our pintxo tour through old town Bilbao began at a beloved neighborhood institution on the town square called Victor Montes. Pintxos lined the counter, leaving not a single spot uncovered. Wine glasses hung from the ceiling, and locals piled in at noon for their midday bite and drink, completely undeterred from the rainstorm happening outside. I learned during my stay that rainstorms frequent the Basque country. We started off our afternoon with three pintxos: (1) Mild red peppers stuffed with beef (2) oyster mushrooms with shrimp and (3) jamón with tomato sauce. Since I had a Basque wedding to attend later that evening, I ordered a local, non-alcoholic drink called mosto. Mosto is a sort of grape juice that is made with pressed grapes and drank before they are fermented into wine. 100% natural and not overly saccharine, this is actually a very refreshing drink that is a great alternative for those who do not want cider or wine. 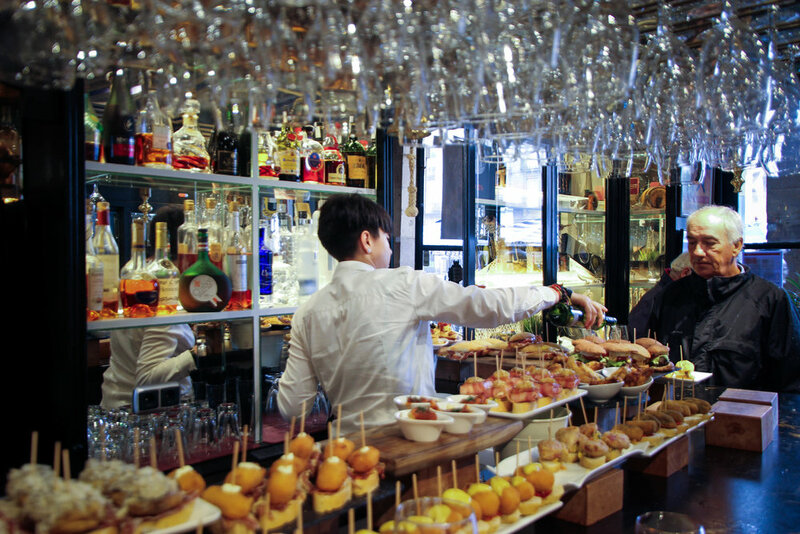 Hopping around from bar to bar and tasting a bite or two at each stop is the customary way of eating pinxtos. One never lingers too long, nor fills up at any one stop. 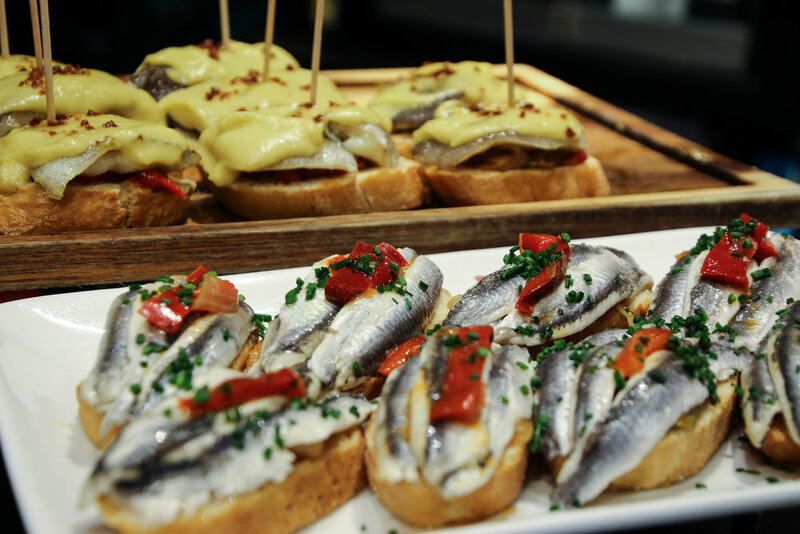 There are seemingly endless possibilities of pintxos to taste, and the Basque take full advantage of the plethora of diverse tasting opportunities. At our second stop, we ordered more pinxtos and another drink at a bar. 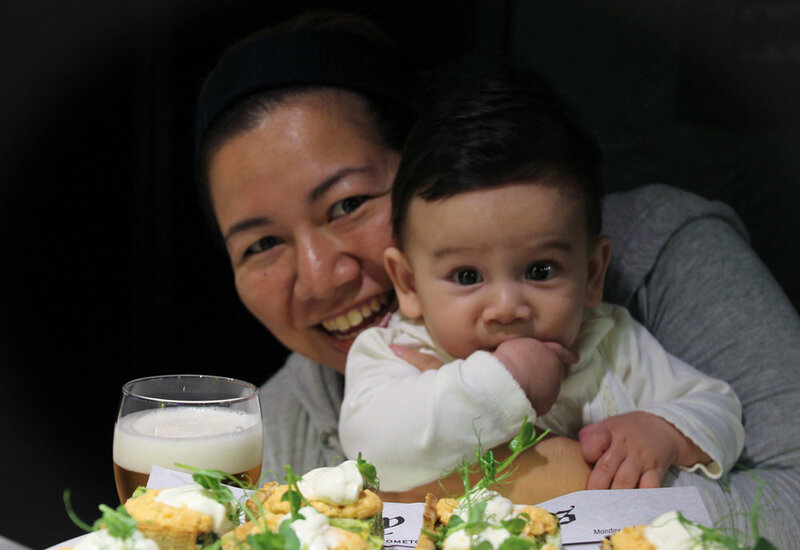 We tried a delicious leek quiche and some golden-fried calamari bites. 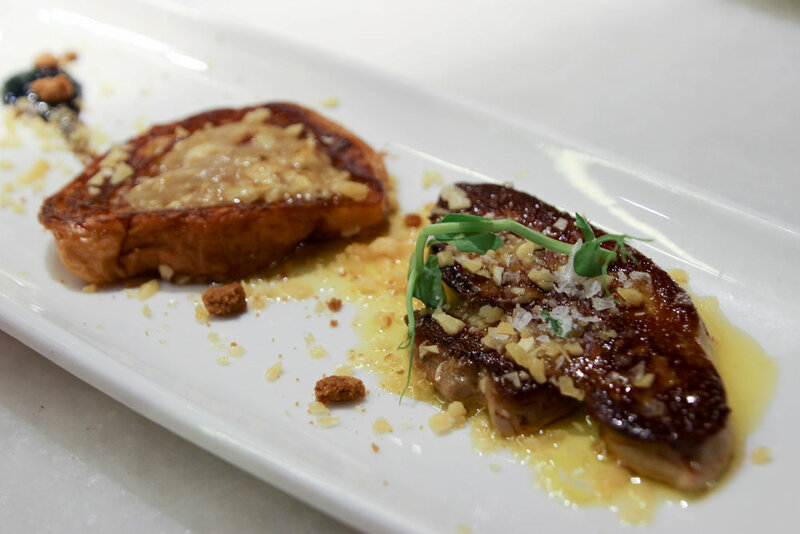 Most incredibly, however, we shared a made-to-order foie gras dish served with a Basque interpretation of French toast, and topped with poprocks- the candy that make your mouth go tingly and fuzzy. Only in Bilbao could you find a dish as surprising and tasty as this one, while also using the highest quality ingredients. Many culinary traditions use a lot of spice in their foods. The Basque, however, only use simple ingredients for flavoring such as tomato, onion, mild peppers, and olive oil. Worried that spice will mask the flavor of the high-quality ingredients, Basque food remains unadulterated. We had one last tasting located in the central La Ribera Market. Next to the river estuary in Bilbao, this newly renovated market is teaming with vendors selling the freshest local products, and small bars selling both classic and modernized pintxos. This market is a fun place to scope out the local vibe and evolving culinary scene of Bilbao. After a few hours of eating pinxtos, it became evident to me why Basque people take so much pride in their culinary traditions. They do not make food to impress food critics- they make food to please and comfort each other. In the words of Javier, "You like it, or you don't. That's it." If you do not like it, they are not going to change the way it is prepared- you can eat somewhere else. Just like the food, Travel Basque Country Tours are as authentic as possible. To learn how you can join Javier and Margaret, you can check out their website, which also has their contact information.